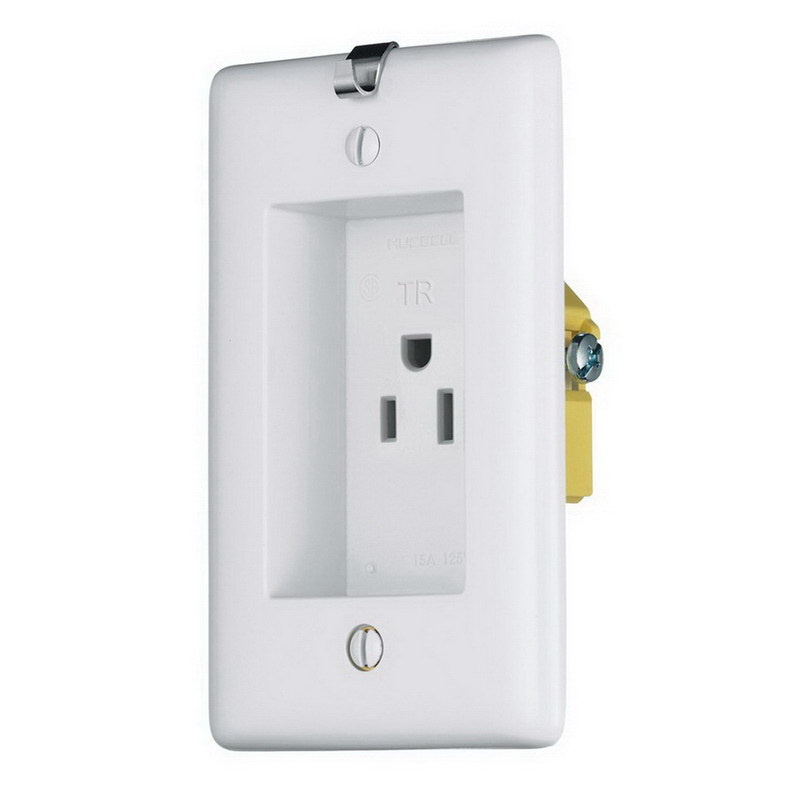 Hubbell-Wiring TradeSelect® Tamper-resistant clock hanger/recessed straight blade single receptacle in white color, has nylon construction for long-life durability. It features steel strap and brass contacts. It operates at a voltage rating of 125-Volts and current rating of 15-Amps. The straight blade single receptacle meets UL and CSA standards.